In this new video, I discuss my memory palace-based mnemonics for learning Chinese vocabulary, as taken from the textbook Integrated Chinese Lesson 1 Part 2. 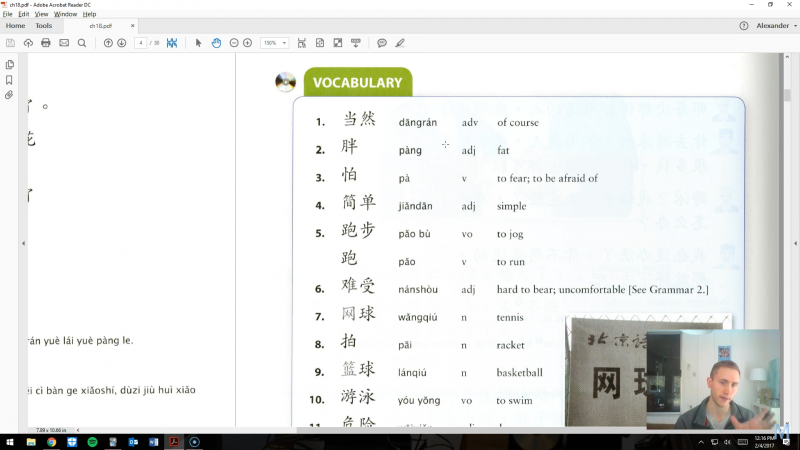 Like in the recent English vocab/Memrise video, I walk through a learning session, focusing on examples and the different tools I use. This one builds on my earlier two blogs describing the system (links below), which I’d recommend reading before watching this. Hope you enjoy!